Samsung has a hit on its hands with the Galaxy S6. (That's what a complete redesign and finally giving people what they've been wanting for years will do for a brand.) 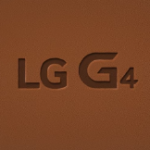 So if in-country rival LG didn't have a fight on its hands before the latest round of flagships was released, it definitely does now. Poor AT&T. This is the second year in a row in which Ma Bell has been tossed under the knife with other carriers and came out dead last in terms of customer satisfaction. The survey, taken by Consumer Reports, examines voice, data, text messaging services, and customer care; the biggest hit came from... can you guess?... voice. Phone-based customer care also helped the company to achieve its bottom-tier ranking. Surprisingly, the top position is held by regional-based carrier Consumer Cellular, a provider that, ironically enough, runs off of AT&T's network and focuses on senior citizens.